31 Dec 2015 The Lakers and the Celtics are longtime rivals, but all of that mutual hatred faded away on this Wednesday night. This is Kobe Bryant’s last game in the Garden. 7 Mar 2010 Kobe is a gangsta! March 7th, 2010, game vs Orlando Magic. 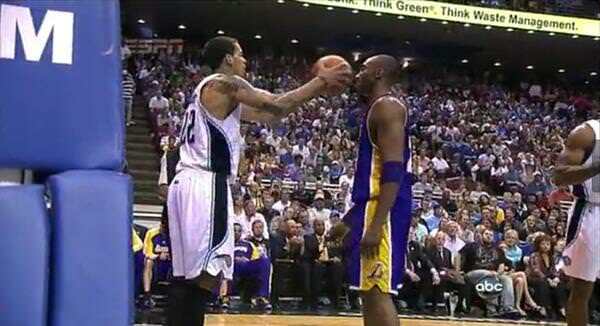 Mamba couldn't care any less when Matt Barnes (Magic's forward time, now in Memphis) pretended to throw the inbound pass on Kobe's face. Bryant didn't even flinch. Maybe he was in some other world. Watch the video.. You'll never get tired of this video!